They say lightning doesn’t strike twice, but last week, a Melbourne man struck it hella lucky He accidentally bought the same Lotto ticket twice – and won, to the tune of 46 MILLION DOLLARS. According to the Daily Mail, the man chooses his own Lotto numbers every week, but they aren’t based on anything special. “They weren’t special before, but they are now,” he told the Daily Mail. I wish this super lucky man all the best of luck and a happy life – because according to a University of Kentucky study, lottery winners declare bankruptcy at two times the rate of the population. It’s thought that this is due to that fact that saving unexpected money is much harder to do than you’d think! The psychology is that unexpected money is just so much easier to spend than money earned through your own labour. 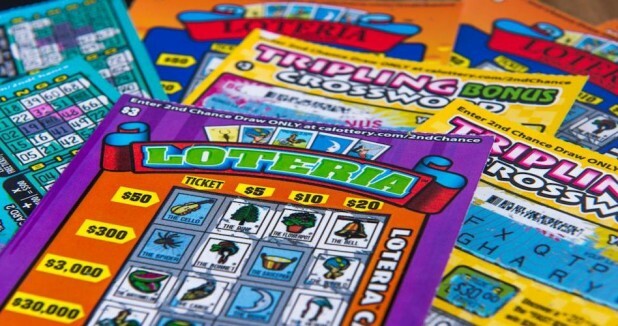 The study also highlighted that lottery winners were often holding a below-average education and income, which might cause them to just not be as smart with money as their more educated, higher-earning counterparts. I often read about stuff like this and wonder why people can’t seem to hold onto a large sum of money like that. If I won, say, 10 million dollars, I would buy myself a good home (maybe also a holiday home), pay any outstanding debt like student loans, set up some kind of trust fund for younger family members, take an awesome holiday and do what I can to help out immediate family and really close friends. Even with all that done, I can’t see it costing more than 5 million. Maybe take another million for extra “luxury” spending (like a travel account for annual holidays, or to quit work and re-design my career, or buy a business). Then stick the remaining four million into high interest savings, investments and hey presto – you’re good to go, for the rest of your life. But, maybe I would also succumb to the plight of frittering it all away. Who knows? I kind of want to go and buy a lottery ticket now!